I went to a “Cheeses of France” press event this week and gorged myself on some of the best cheeses I’ve ever eaten. I need to sort through my notes to identify my favorites (predictably, I liked all the extra creamy soft cheeses best). But this is one that they sent home with all the attendees. It’s goat’s milk cheese like I’ve never tasted—mild, creamy, melt-in-your-mouth, with an assertive flavor. 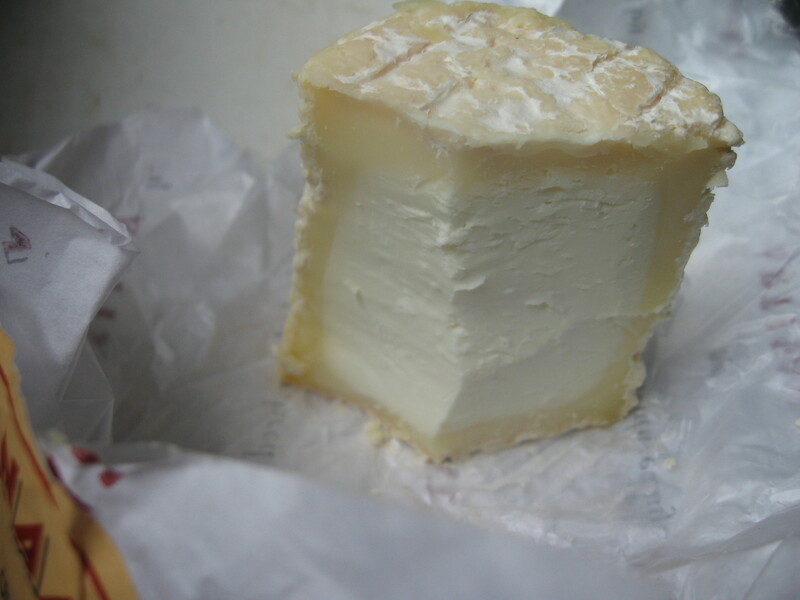 The rind and outer layer are tasty, but the snowy white center is the stuff dreams are made of. It’s a little pricey for everyday eating, but I would definitely add it to a cheese plate for a special occasion.